@BrianGroth U know TV, Babies, Animals & Car Chases = Ratings. Love it. So now, both of these photos should appear between 9 pm & midnight tonight (Central timezone) on weathernationtv.com or KARE 11.2 in Minnesota. 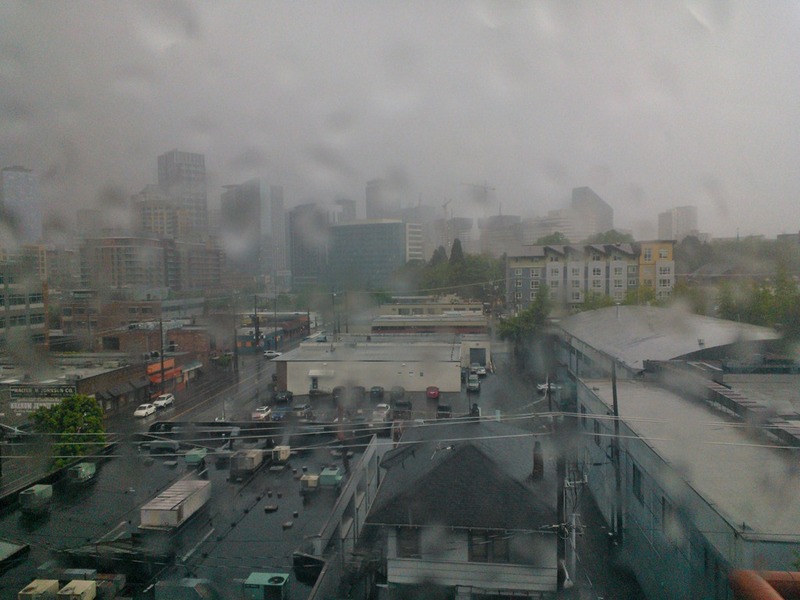 The first one is the view from Seattle’s South Lake Union neighborhood, obscured by just a bit of rain. 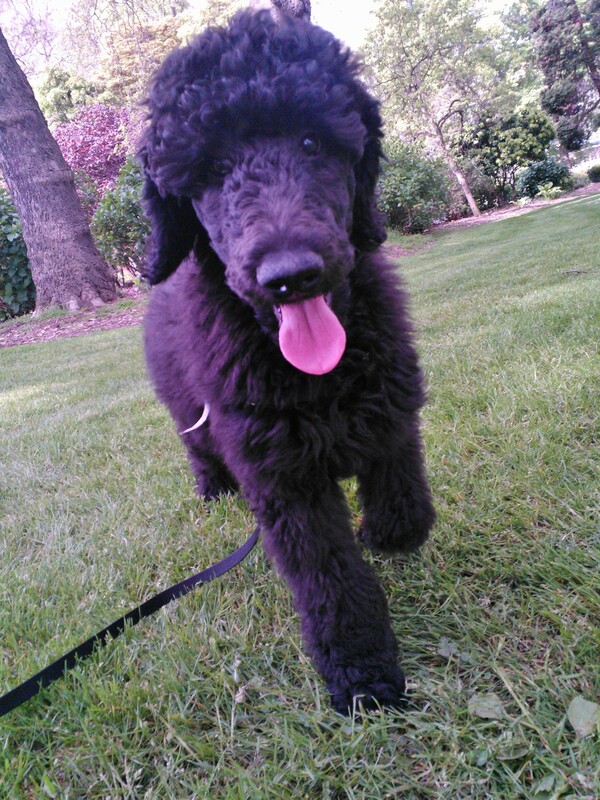 The other one is Busby, our 3-month old standard poodle. 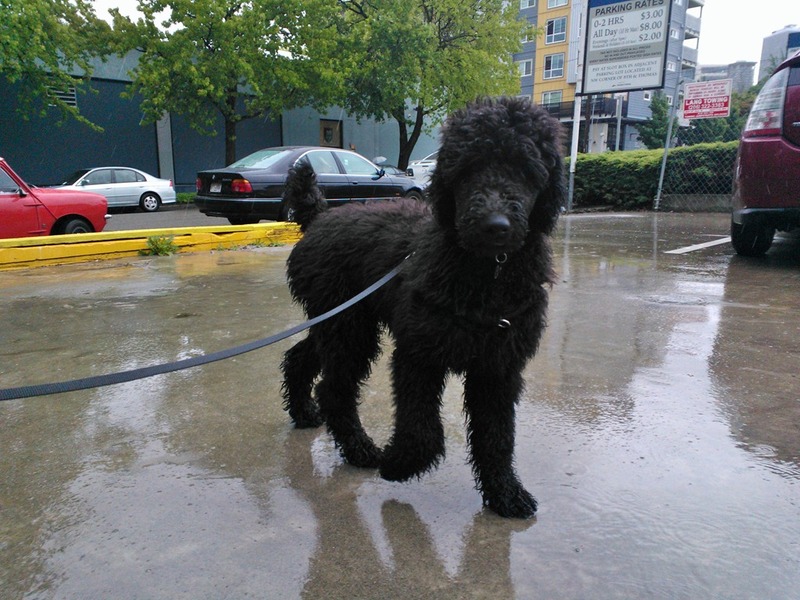 He doesn’t seem to care if he gets rained on or not, even though his long hair acts like a sponge. Busby has been able to go up the stairs for a couple of weeks now (he is 3 1/2 months old), but after a bit of practice this weekend, he is now able to go down the stairs too. Hopefully that means I no longer have to carry him down the stairs in the early morning when I can barely make it down them myself (he wakes up at about 5am). This of course means he has full run of the house if he isn’t in his cage or crate. That could be a problem! 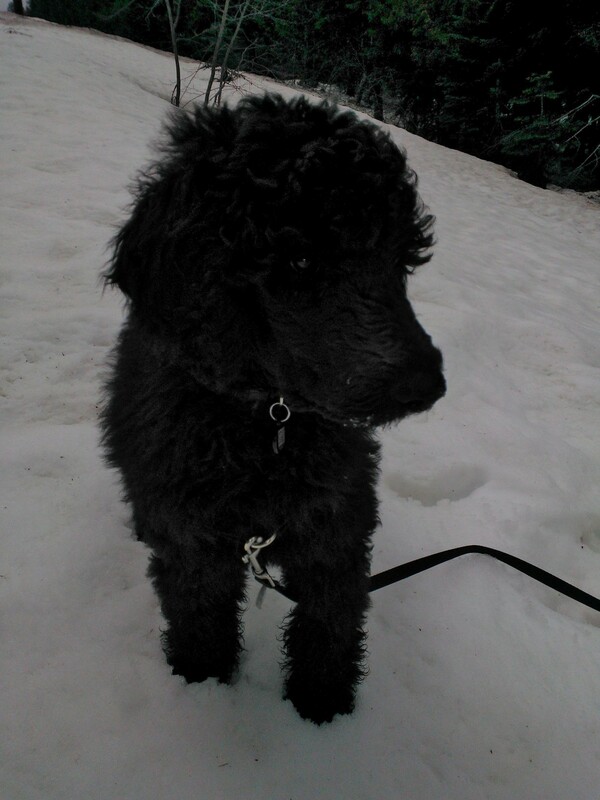 As it turns out, Busby loves running in the snow and grass. Saturday had us up at Snoqualmie Pass, where he got to run around in the snow while attempting to eat large quantities of it. Then, Sunday in Seattle was sunny and he got to run around a on a big patch of grass, also trying to eat what he could when I let him stop running. 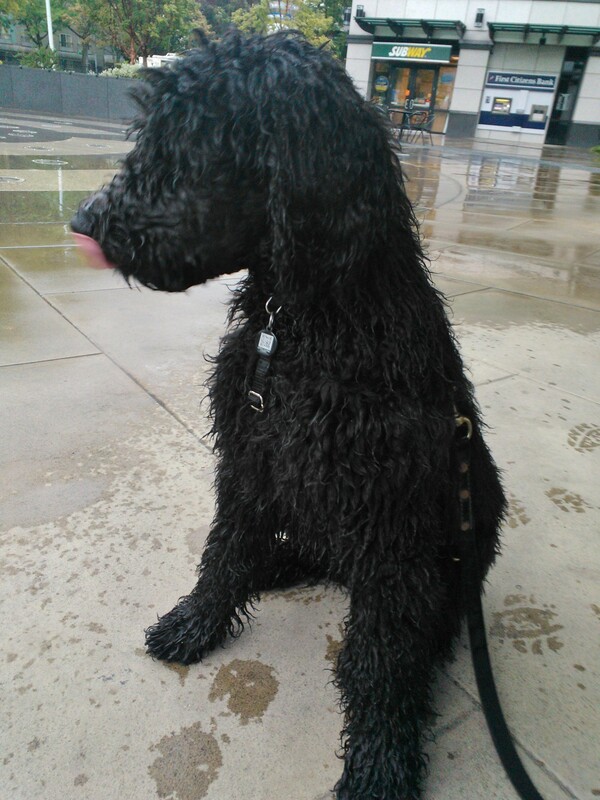 I’ve also got a short video of Busby bouncing around in the snow. I think this dog and I might get along quite well.